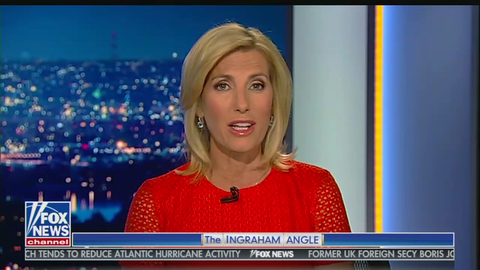 During Thursday's edition of The Ingraham Angle, host Laura Ingraham responded to criticisms of the immigration-related monologue she gave on Wednesday night by delivering "a message to those who are distorting my views, including all white nationalists and especially one racist freak whose name I won't even mention. You do not have my support. You don't represent my views and you are antithetical to the beliefs I hold dear." Ingraham stressed that her commentary "had nothing to do with race or ethnicity but rather a shared goal of keeping America safe and her citizens safe and prosperous."